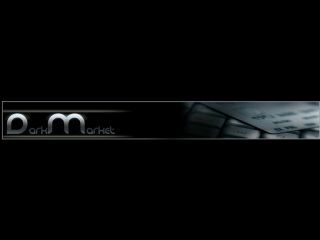 There have been many reports this week that fraud website DarkMarket, which closed earlier this month, was shut down because of an international intelligence operation, which has lead to up to 60 people being arrested. All is not as it seems, however, as CNET is stating that the website was all part of an FBI sting operation. It all stems from an article in Wired, where they uncovered that the webmaster of the site was non other than J. Keith Mularski, a senior FBI agent, going under the guise of Master Splynter. Splynter wrote on the site, just before its demise: "I guess it was only time before this would happen. It is very unfortunate that we have come to this situation, because ... we have established DM as the premier English speaking forum for conducting business. Such is life. When you are on top, people try to bring you down." The elaborate ruse is backed up by information uncovered by Südwestrundfunk, a German radio network, who found out the site was being operated by the National Cyber Forensics Training Alliance (NCFTA). Sting or not, the closing down of the website has lead to 60 arrests, with one person charged with purchasing £250,000 pounds' worth of stolen data in under two months. Recent arrests in the UK have so far been made in Leicester, Manchester, Humberside, South Yorkshire and London. DarkMarket administrator Cagatay Evyapan, aka Cha0, was arrested by Turkish police at the beginning of September.